We've built the first home in our neighborhood, which requires LEED Certified homes and are excited to share our experiences with you. We're regular people who wanted a comfortable, energy efficient home and to no longer have to depend on oil or other fossil fuels. 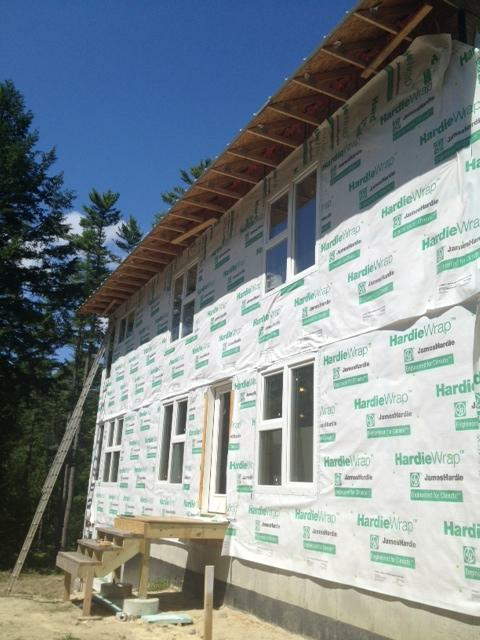 Our home has high performance windows, sunshades and a wall system designed to allow for tons of insulation. Our design+build team maximized our lot and situated the house to take full advantage of the southern sun. We have an electric heat-pump system for heating and cooling and an HRV system for fresh air. 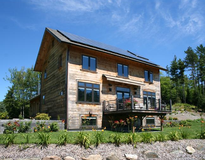 We wanted a comfortable, energy efficient home that was LEED Certified. It was important for us to have a third-party rater so we could see the material benefits of the energy efficient options we choose. It's not crazy or extra-expensive, and you don't need to install solar panels or Geo thermal to build an energy efficient, LEED Certified home. There are a lot of simple design and finish choices that when added together make a big difference! This was the first LEED project for our building team and it was a great experience to have a group of people willing to learn together what needed to be done. 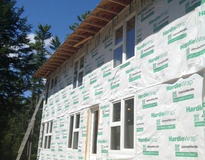 We are participating in NESEA Green Buildings Open House 2013 - October 5th, 2013 - Time: 10am-3pm We are located at 55 Intervale Rd in Freeport, Maine (Lot #11) in the Kelsey Brook Subdivision. GPS users - use address 20 Litchfield Road, Freeport, Maine 04032 - Kelsey Brook will be directly on your left.